The core purpose of this website is to encourage live performances of Cazden’s compositions. If you find your way to the music, and play it, we want to know! Please send news, photos, etc. to us via our Contact Page. This site was launched September 23, 2014, to honor Norman Cazden’s 100th birthday. The effort was led by the composer’s daughter, Joanna Cazden, with the assistance of Elizabeth Cazden, librarian Johanna Halbeisen, family friend and musician Peter Klein, David Cazden Kleinshmidt, office assistant Carolyn Noonchester, and web designer Mark Donovan. 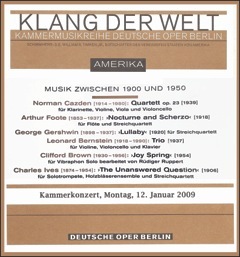 For information about individual compositions, please contact the archives listed. For general information send us a message via our Contact Page.